After the first game proved to be a worldwide success, EA developed this sequel exclusively for Sega’s 16-bit console. The biggest change from FIFA International Soccer are obviously the dozens of club teams from England, France, Germany, Italy, The Netherlands, United States, Spain and Brazil, taking the team number tally to over 200. This also increased the number of competitions, with each country having it’s own League, Tournament and Playoff. Also new, a battery backup allowed to save up to four competitions in the cartridge, replacing passwords. For those who want to settle things the fast way, a Penalty Shootout training mode was added. 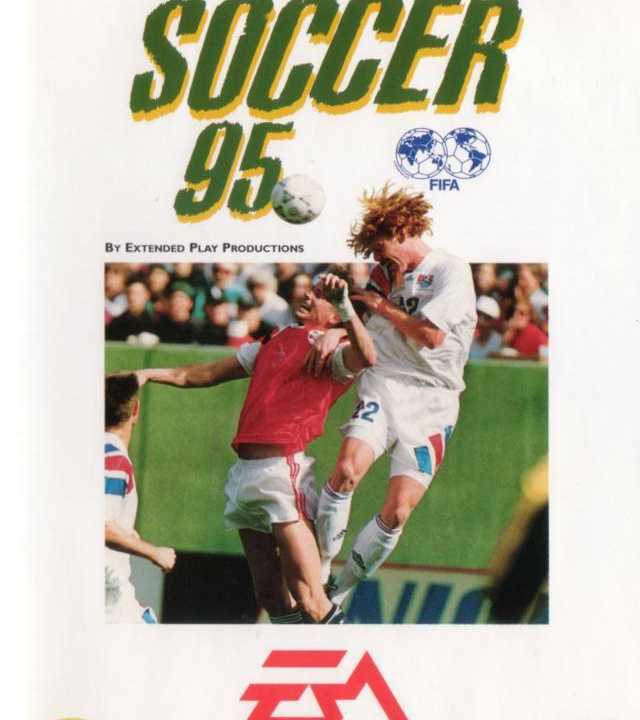 Game Analysis Using the same engine with only minor retouches, FIFA 95 introduced club teams to the series within eight national leagues: Brazil, Germany's Fußball-Bundesliga, Italy's Serie A, Spain's La Liga, England's Premier League, France's Ligue 1, Netherlands' Eredivisie and USA. Most of the leagues had their team lineup based on the 1993-94 season, and the teams, although recognisably real, all still had fictitious players, many of them even returning from the previous game. The USA League consists of teams and players from the A-League, the country's second division - subsequent editions would feature "artificial" division one leagues, a feature not corrected until the 2000 edition, when Major League Soccer was included for the first time. In addition, the Brazilian league contained only teams from São Paulo and Rio de Janeiro, with the exception of Internacional, from Porto Alegre -- it would not be until FIFA 07 that Campeonato Brasileiro represented the country. Copyright © 2014 - 2019 SocksCap64, All Rights Reserved. Logos, Trademarks, Pictures Belongs To Their Respected Owners. Powered By WordPress. 103 Queries in 0.697 seconds.